Is the question “Am I Worthy?” one that rattles around in your head? but that doesn’t tell me who you are. Most of us answer that question internally very differently than we would answer someone asking it. disappointment to my mom and dad. None of those things define you, nor should they. Please don’t let them keep you from being and doing what God called you to do. Can I use a joke to explain? A lady stopped in the pet store to buy her cat its favorite treat. She strolled past the row of bird cages on her way to the cat treats. As she passed a cage that housed a beautiful green and yellow parrot, it squawked “Ugly lady! Ugly lady!” at her. She was annoyed and complained to the management. The management punished the bird and promised the lady it wouldn’t happen again. The lady was really mad and demanded that the management do something immediately. Again, the management apologized and punished the bird even more sternly. The woman left in a huff. inside all of us a timid little voice…that we hardly recognize… whispers…Yes I know. I know the real me. And because we think we know, we look in the mirror and we tell ourselves things that would make us very angry if someone else said anything close to what we are telling ourselves. The scary thing is, sometimes, we don’t even realize it! What you believe about yourself is vitally important. You can believe a lie or you can believe the truth. The truth is what God says about you. Your inner self-talk needs to be congruent with what God says about you. Simply line up with or conform and match what God says. He made you in His image. You are loved. You are priceless. So valuable that He sent His Son into the World to bring you into His family. He wants to share Himself with you! There’s nothing you can do that will make Him stop loving you. But there are things that you can do and believe that will keep you from being and living as a child of God. Believing the truth about you begins with believing the truth about Him. Believing the truth about you isn’t automatic. It won’t happen unless you renew your mind. Only YOU can do that. That’s why it is so very important for you to take your thoughts and heart to the cross on a regular basis. Repent of sin. Embrace forgiveness. Reshape your inner self-talk by discovering what God says about you? 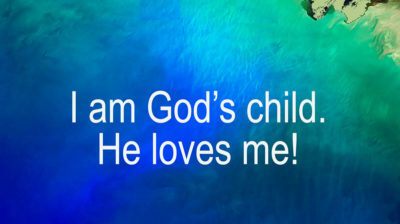 God says if you have received Jesus and believed in His name you are a child of God. Is that what you say about yourself? Do you still struggle with that thought? Are you waiting until you are perfect to step into all that being His child means? If you have been born into God’s family, you are a child of God. That is your identity. Live out of your identity as a child of God. God declared right out loud from heaven that this was His Son (Matthew 3:17). In the very next verse (Matthew 4:1) it says that Jesus was led by the Spirit into the wilderness to be tempted by the devil. After Jesus fasted for forty days and nights, the tempter said, “If you are the Son of God, tell these stones to become bread.” Basically, he was daring Jesus to prove that He was God’s Son. “Are you really God’s child? Prove it? You’re not good enough, special enough or worthy. You don’t know the Bible well enough.” Listening to the enemies lies creates doubt and robs you of confidence. Jesus didn’t defend Himself and demand His rights. Instead of flooding your mind with excuses and explanations of why you “aren’t” good enough to be God’s child, do what Jesus did. He spoke God’s Word. He didn’t need to argue because He had kingdom authority and so do you. Do you deserve God’s grace and love? Can you earn it by being good, or pretty, or smart or whatever you dictate the price must be paid to earn it and keep on earning it? No. You can’t earn it. 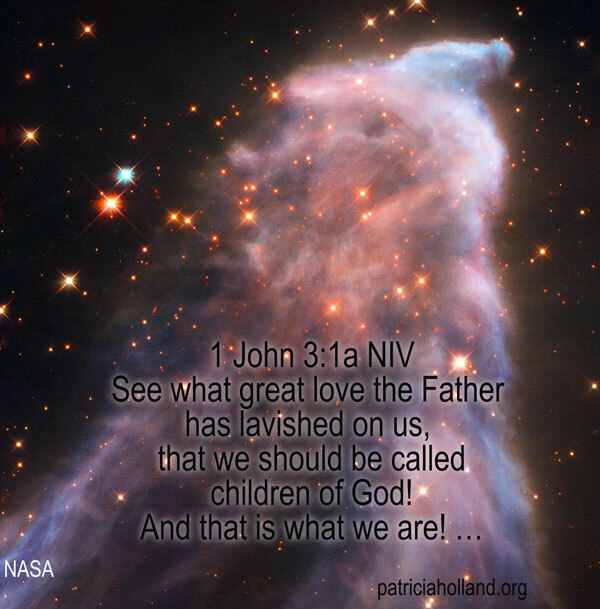 Ephesians 2:8, 9 NIV is very clear that we don’t become God’s child because we deserve it. My children didn’t have to do anything to earn my love. I loved them before I ever saw them. Wayne and I planned for them and wanted them. The instant I saw them I discovered a new meaning for love. Did they deserve it? What a ridiculous thought, they were my children and loving them was one of the greatest joys of my life. If a person earns something, they have to continue to do what they did to continue to be worthy. Stop trying to earn your place with your worthiness and simply receive His love. Because you answered yes to God’s invitation to become His child, you have nothing to prove and everything to gain by walking in His love and His overcoming power. That doesn’t mean you can live in rebellion against God. But, it means you will grow. And, as you grow you will become more and more like Jesus. Ephesians 3:19 NLT May you experience the love of Christ, though it is too great to understand fully. Then you will be made complete with all the fullness of life and power that comes from God. the righteousness of God in Christ Jesus. 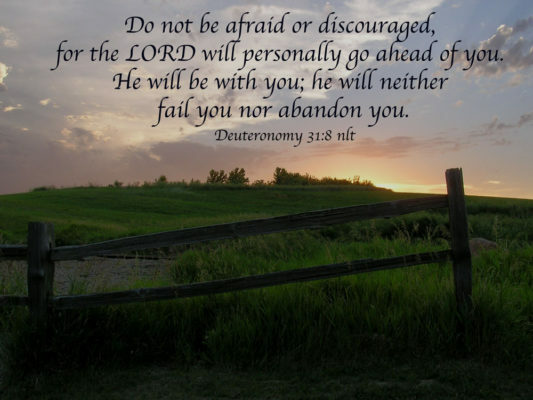 able to do all things through Christ who strengthens me! And the truth is…I believe it!